Radiologists need to claim their place as clinicians in the medical team and also subspecialise, experts will argue in a Professional Challenges session at the European Congress of Radiology, which opens tomorrow in Vienna. Radiologists must step out of their offices and show that they can bring added value to the team, according to Prof. Jim Reekers, professor of interventional radiology at the University of Amsterdam, who will chair the session. "Being the photographers or doctors who only give a report with a picture will not secure their future because anybody can make and look at a picture nowadays. The difference the radiologist brings is that he or she can give an interpretation of the picture within the context of a patient's clinical situation" he said. Subspecialisation is a way for radiologists to ensure their survival, as the service provided goes beyond the simple interpretation of images, according to Dr. Nicola Strickland, a consultant radiologist at the Imperial College Healthcare NHS Trust, Hammersmith Hospital in London. "We can protect ourselves by remaining at the forefront of radiological knowledge, which means that radiologists everywhere will have to subspecialise to some extent. We have to remember that we are all doctors first and radiologists second. We are interpreting the imaging studies in the light of our medical knowledge of the patient's condition" she said. Advances in IT over the past decade have been noticeable in medical imaging perhaps more than in any other area of clinical practice; radiologists should use that advantage to become indispensable, Strickland believes. But in the absence of a system enabling doctors to access all of the patient's imaging history, radiologists will have to fight for immediate access to past imaging and to the imaging study reports, with integration across the whole healthcare network. Experts will also address threats linked to the commoditisation of radiology services. Reekers will explain why he thinks teleradiology will be "the downfall of radiology". "Teleradiology is a disaster: it is going to kill radiology. If this continues, radiology will not exist in 15 years, because everything will be gone. The moment the doctor is not in the hospital anymore, the clinicians will start reading films themselves. They'll say they don't need teleradiology anymore. But if you have a very good radiologist who's very much like a partner, you don't need teleradiology" he said. He suggested physicians should develop a network of specialists outside their hospital and cooperate with these experts when necessary instead of using teleradiology. For Strickland, an in-sourcing solution between regional hospitals where doctors all know each other could be an alternative in some cases. The appropriateness of teleradiology use in well-defined circumstances (e.g. acute situations) should be carefully decided upon, she added. PC 4a Radiologist: imager or doctor? > Which type of radiologist is future proof? > Is subspecialisation the answer? > Is teleradiology a threat to radiology? 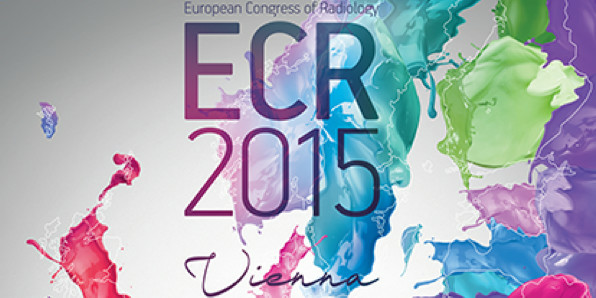 > Panel discussion: How do radiologists stay relevant and what is the role of the ESR?